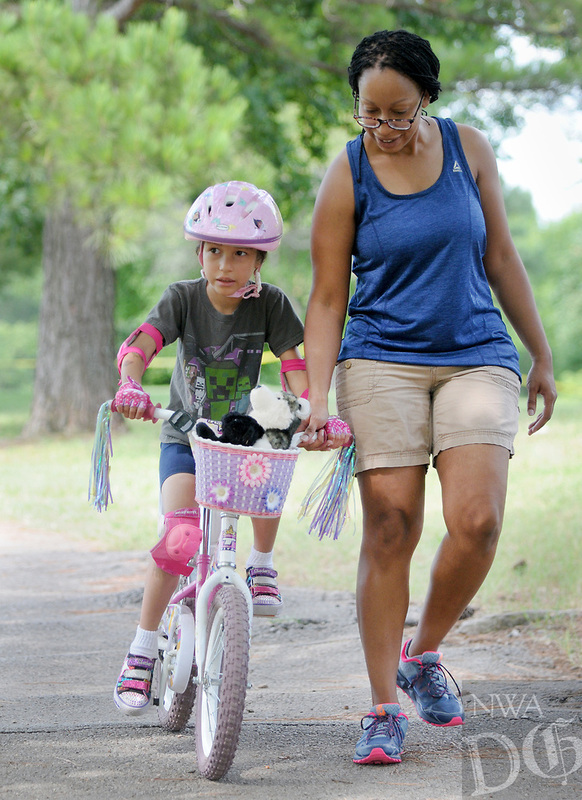 NWA Democrat-Gazette/DAVID GOTTSCHALK Jessica Danley helps guide her daughter Eve, 6, Monday, August 6, 2018, as she rides with a basket full of stuffed animals on her first attempt to ride without training wheels at Gulley Park in Fayetteville. The Fayetteville Parks and Recreation Advisory Board on Monday will go over the proposed master plan for Gulley Park. Suggested amenities include an activity hub for children, a splash pad and a dog park.